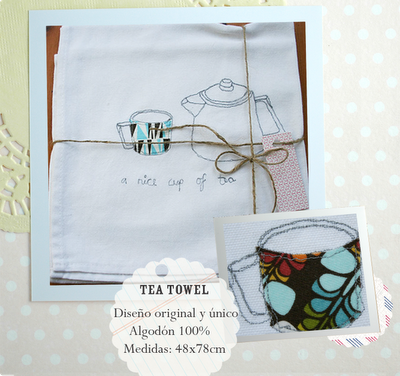 Ana from Granada in Spain recently ordered one of my machine embroidered cup of tea tea-towels from my Etsy shop. I found out yesterday it is going to be a prize for a recipe competition on her blog Cazarecetas. You can read the English translation here. It’s not a brilliant translation but gives you a rough idea.